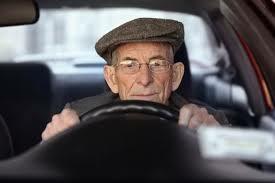 Will the US Govt Put More Restrictions on Older Drivers? Home|Car Accidents, Driving Safety, Financial Recoveries|Will the US Govt Put More Restrictions on Older Drivers? As our population grows, so do the number of drivers on the roads in the United States. In fact, it is estimated that there will be 60 million adults driving by the years 2030. Obviously, the government could find reason to put restrictions in place making it harder for elderly folks to continue to drive, but there would definitely be a backlash from the legal community. Firstly, older people are more apt to galvanize and vote against certain types of restrictions, if they become burdensome to their constituents. Groups such as AARP and AAA are huge advocates for seniors, and both groups argue that older drivers shouldn’t be discriminated against, based solely on age. Likewise, state legislatures have become less inclined to restrict driver’s licenses or impose additional requirements for seniors. For instance, requiring additional vision or driving tests just based on age groups. Studies have shown older drivers are safer than most age groups. Legislation aimed at restricting older people from driving is not a popular undertaking and most often gets voted down for fear of political backlash from organized groups of voters and lobbying groups. Vision is a big skill that most people see degraded over time. Hearing also degrades over time in some people. Reflexes are not as quick as they once were in older people. Contact an Experienced Denver Car Accident Attorney at Bell & Pollock, P.C. Have you been injured in a car accident with a senior? If so, you can turn to a Denver Car Accident Attorney at Bell & Pollock, P.C. for an experienced advocate who will be compassionate and caring, yet fight for rights while pursuing justice. At Bell & Pollock, our attorneys leverage combined experience and a winning track record of helping clients recover restitution for personal injuries and other damages. Since 1984, our legal team has taken on big and small cases alike, but always aggressively litigating those cases for the best possible outcomes. To learn more about how our legal services can assist you, call us at (303) 795-5900 or email our firm using the contact form on this page to schedule a free initial consultation with one of our attorneys. We’re conveniently located in Denver, Greenwood Village, and Steamboat Springs to provide you the highest quality legal services as well as throughout the rest of the Denver metro area and the state of Colorado.